Spanish food is one of our favourite cuisines. 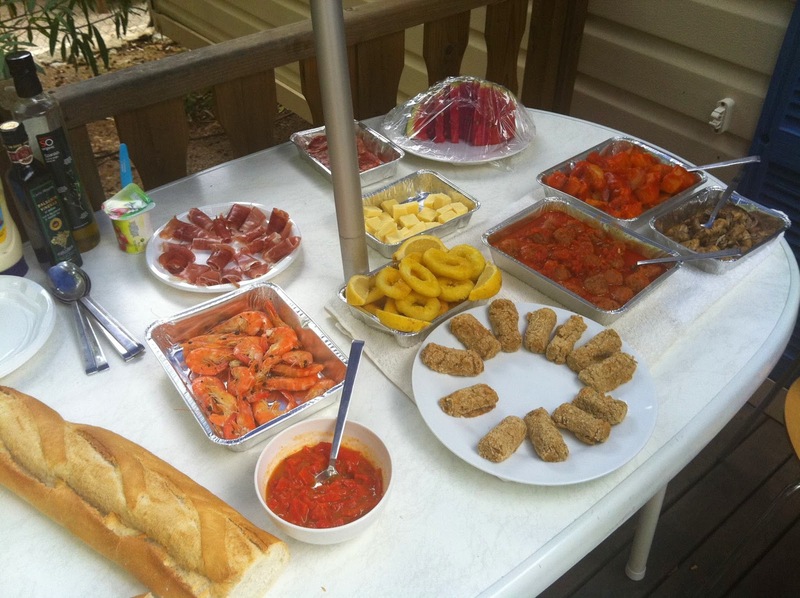 Whether we are dining at a Tapas restaurant with the kids, cooking tapas at home or actually enjoying a meal in Spain (can't wait for June), Spanish cuisine is often easy to prepare and is a simple way to get the kids to try something new. Tapas is simply put, lots of little dishes that you can help yourself to and a lovely relaxed way to dine. 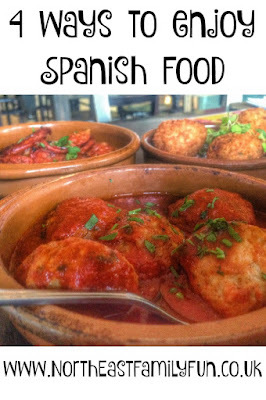 Our favourite Spanish tapas dishes include King Prawns, Croquettes, Calamari, Patatas Bravas, Chorizo and Spanish meatballs. Often we'll enjoy tapas at home on a weekend with a nice bottle of red. 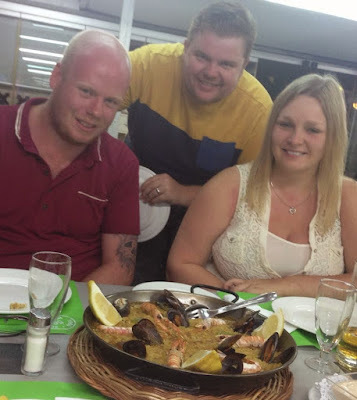 When in Spain you simply must dine with the locals at least once - after all, they know where all the best food is! Stuck for inspiration? Why not try one of these tapas bars in Madrid or Barcelona for starters. 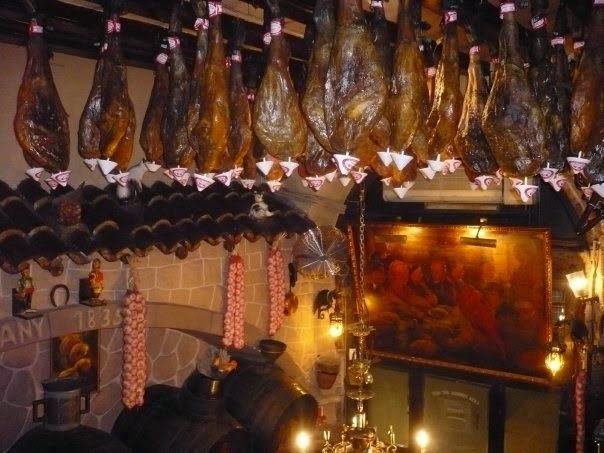 We dined in the most amazing Spanish restaurant just off Las Ramblas a few years ago. 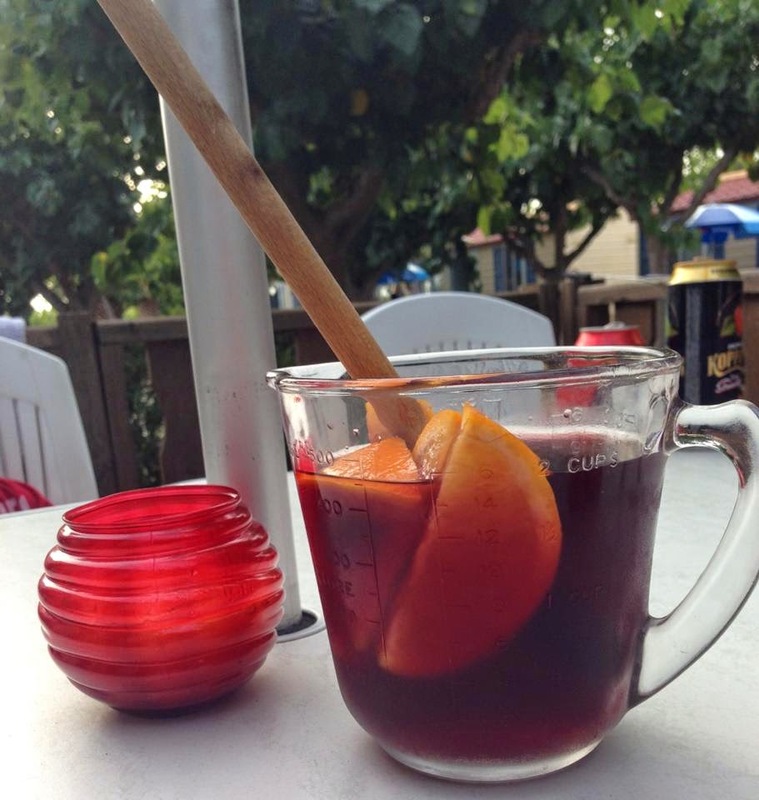 Communal dining was encouraged and everyone sat on wooden benches whilst drinking jugs of sangria and feasting on the rotisserie chicken that was periodically brought to our table. It's an experience that always sticks in my mind and I wish I remembered the restaurant name. If anyone recognises the restaurant from the picture above, please let me know. I find traditional Paella very difficult and time consuming to cook at home. Whatever I do it just doesn't taste as authentic as the real thing. Apparently, there are a few tricks to creating a perfect Paella and choosing the correct rice and stock are key. I've given up re-creating Paella at home but will always share a dish when I'm in Spain. Writing this post has left me craving a little bit of Spain and I'm going to pop out and shop for Tapas ingredients now. Alpha Rooms have created a Guide to Spanish Cuisine should you need any further inspiration, ideas or recipes. 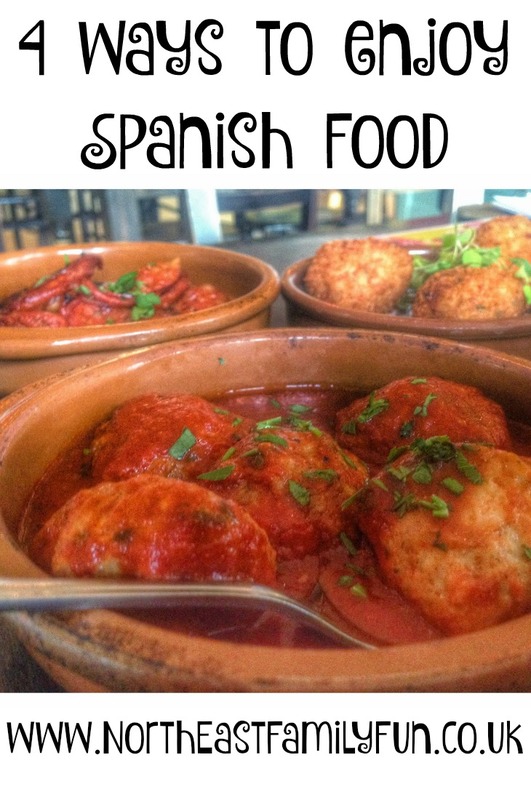 I'd love to hear if you have a favourite Spanish dish. Mmmmm I adore Tapas... such a great way to eat as you can try a little of everything without committing to one dish! I'd love to go back to spain one day, haven't been for years!!!! We love eating Spanish food and I'm so lucky that we regularly get to eat the authentic dishes in rural Spain when we visit my parents. That all looks lovely. I am definitely craving spanish food now. I love it!